Nowadays it’s important to ensure your non-stick cookware is safe for your family and with Ozeri’s 12-inch (30 cm) Green Earth Wok, you can rest assured. Typical non-stick cookware contains a thin layer of PTFE (PolyTetraFluoroEthylene), which at high temperatures can release dangerous fumes to birds, pets and possibly humans. 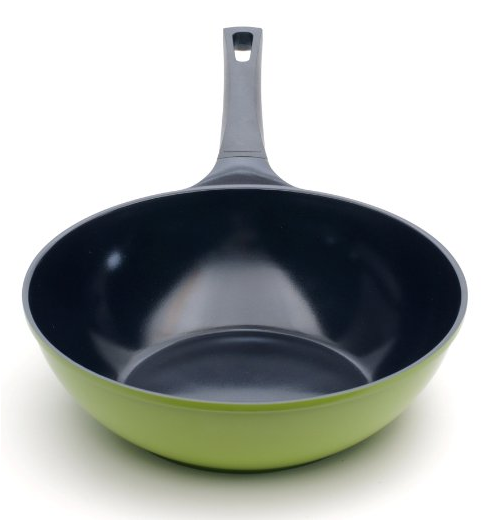 The Green Earth Wok is free of PTFE and PFOA as it utilizes a ceramic coating for a fantastic non-stick experience which has us using less oil yet still maintaining heat to sear steaks and make stir frys with its high quality anodized aluminum base. The handle is heat resistant so you can put the wok in the oven. We’ve had this wok for three months now and it still works like it did on day one. 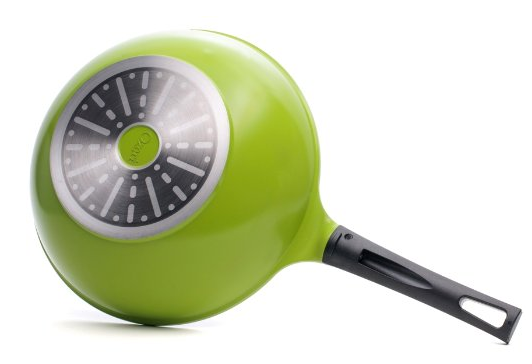 The green colour cookware actually looks great and clean up is a breeze. Would definitely buy again and recommend to family and friends.